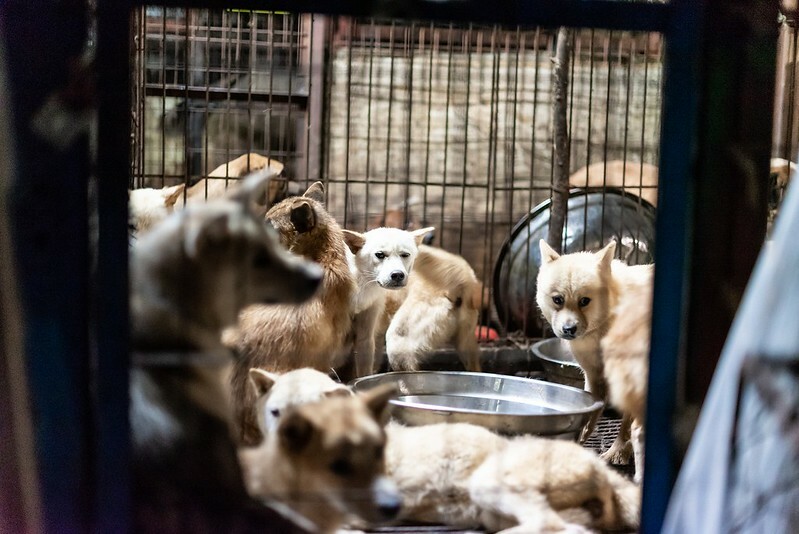 Seongnam, South Korea, Shut down the illegal dog meat farms, slaughterhouses and markets. Home / Blog / Seongnam, South Korea, Shut down the illegal dog meat farms, slaughterhouses and markets. MBC News: Dog meat debate hotter than Boknal (Malbok), Unsanitary and infected dogs distributed as meat. Two search results on Naver (the most popular search engine in Korea) – the first one was for so-called “Health Food Shops” which commonly sell dog elixirs and cat elixirs (also known as dog soju and cat soju); and the second one was for “dog meat restaurants”: 158 Health Food Shops; and 98 restaurants in and around Seongnam. Even if half of these ‘Health’ Food Shops and restaurants serve dog and cat ‘ingredients’ in one form or another, just imagine how many dog/cat slaughterhouses must be present in and around Seongnam in order to supply all of these outlets. Please sign petition, call, write and email the Seongnam Mayor and the City Council TODAY! Subject: Seongnam, South Korea, Shut down the illegal dog meat farms, slaughterhouses and markets. 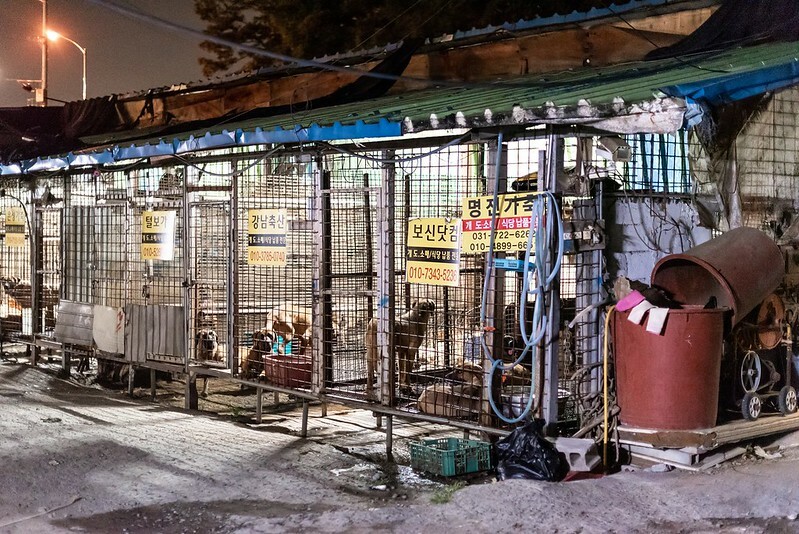 Petition: Seongnam, South Korea, Shut down the illegal dog meat farms, slaughterhouses and markets. Video: Horror in the night! 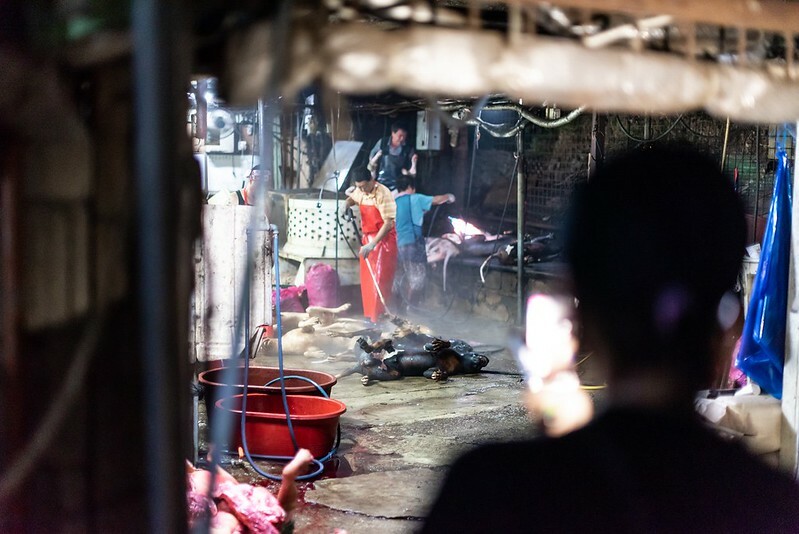 CARE confronts a dog slaughterhouse in Seongnam, South Korea! Click HERE to watch more videos from CARE’s surprise visit on August 15, 2018 and press conference on August 16, 2018. Please shut down dog meat trade! This is gut-wrenching!!!! I can’t believe the horror put upon these dogs and cats. PLEASE PLEASE STOP! i BEG OF YOU AND YOUR PEOPLE. PLEASE STOP THIS HORROR!!! ARE U HUMAN????? This is so terrible to do this to these innocent animals , they don’t deserve to be murder. what is wrong with these people that do that. I thought Korea was a Christian country. Do you think God approves of your torture and murder of innocent animals. The Korean government is responsible for the murder in their country. You will answer to God one day. No excuses! The blood of those innocent animals will be required. You will give an account of this evil you allowed in your country. This sort of horror is a blight on Korea and damages your tourist industry. I wish , you feeling the same pain and suffering like this poor , innocent ANIMALS !!! I am not buying any products from this country and encouraging others to do the same. Boycott the country’s famous industrial products like Samsung, LG, Hyundai, KIA until they abolish their horrendous habits. Possa il vostro Dio sprofondare il vostro Paese subito. THESE HUMANS TRASHES WHO’S KILL ,TORTURING THESE POOR INNOCENTS DOGS & CATS ALSO WHO’S EATING THEM WILL BE ROTTEN IN HELL!!!!!!!!!!!!!!!!!!! DISGUSTING PRIMITIVE NATIONS!!!!!!!!!!!!! !STOP STOP STOP NOW!!!!!!!!!!!!!!!!!!!!!!! It is such unspeakable and disturbing cruelty. My heart pounds so hard as reading what is really happening in this deplorable industry. It should not be culture to torture and abuse innocent animals. It is a crime and must be abolished completely immediately. So much sacrifice has been made for centuries meaninglessly. The world is in horror watching your country torture these animals who would dies for us. I beg you to stop. I Thought we were done with this !@#$%^&*. What happened to the SO CALLED LAW that was supposed to have been brought in to STOP this. Was that ALL just BULL??? Obviously!!! BOYCOTT, BAN, AND STOP SUPPORTING korean PRODUCTS like Samsung, Kia, etc. The EVIL dog and cat abuse/killing must to stop!!!! please stop this it is inhumane for this . KARMA GET THESE BASTARDS SOON!!!!!!!!!!!!!!!!!!!!!!!!!!!!!!!!!!!! !STOP STOP!!!!!!!!!!!!! Stop this insanity! People who can abuse these awesome animals belong in prison for the rest of their lives! help for dogs and cats!!!!!!!!!!!! please !!!!! Change is possible. Kindness is possible. Stopping suffering is possible. Make the right decision. STOP The dog and cat meat industry NOW. Be part of the evolution.